Today more than ever before, Credit Scoring is an often-used element for consumers, from Car Insurance to Loans; a good credit score is important. Our Building Credit options will be reported to all three major credit agencies and this will help you begin to build or rebuild credit. As a young person, the sooner you begin building credit history, the better off you will be. If you are eager to start building a positive credit history, we have a few options to consider. Bad things happen to good people and that means your credit score might need a little help. We offer both Loans on Savings and a Secured Credit Card to help you get back on the road to financial success. Credit Information: Managing and protecting your credit is a long-term process. To learn more about credit issues, including credit scoring, and protecting your personal information, visit consumer.ftc.gov. At MCS Bank, we will guide you through the steps to get established with all three major credit agencies and build some credit. Then, through responsible on-time payments, you will be building credit. Loan Procedes funds a CD instument to be held as collateral for the loan. Terms Up to 36 mos. The monthly Payments you make are reported to all three Credit Bureaus. At the End of the Term, you can transfer the money to your checking account or reinvest. All Loans subject to MCS Bank Underwriting Standards. Fixed Rate Loan with terms up to 36 mos. Payment Example, as of 8/1/18: $1,000 loan amount for 36 months at 2.500% APR is $29.08. These loans are secured by the funds that you have deposited with MCS Bank in the form of a Certificate of Deposit (CD) or Savings Account. This type of loan is very quick, low rate, and there are no fees. You may borrow up to 100% of the available balance in your collateral account. With this loan, you will continue to earn interest on that CD or Savings Account. Please contact one of our loan officers for additional details and programs. 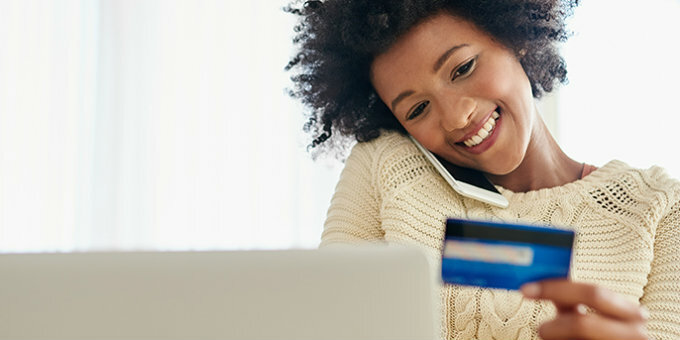 At MCS Bank, we provide the ability to build credit through the use of a Secured Credit Card. An Initial Required Security Deposit minimum of $300 is refundable based on your creditworthiness. Your Initial credit line is $300, or higher based on your initial deposit. On an annual basis, we will review your credit standing. When it reaches an acceptable level, we will refund the Deposit and convert to a standard credit card.